Part of the world renowned Fortune Lounge Group of casinos, Royal Vegas operates out of Malta and it launched back in 2000. During that time, the casino has become synonymous with safe and secure gaming as well as a rewarding experience resulting from Microgaming's portfolio of more than 500 exciting games. The winner of numerous industry awards features a high-quality customer care team and offers hassle-free money transactions in an attempt to make life easier for their customers. At the same time, their stunning welcome bonus, huge progressive jackpots and ongoing promotions only add to the appeal. Royal Vegas was one of the first online gambling venues to go with Microgaming software and this has allowed them to offer one of the best gaming portfolios on the web. Flash casino is also available, but downloading the casino client is highly recommended, with the casino lobby quite appealing in both variants. Microgaming software is the way to go if you want to have access to an excellent array of popular casino games, with Royal Vegas housing well over 500 titles. In addition to more than 300 slot machines, players can try their hand at progressives, table games, video pokers and other games such as Casino War and Triple Pocket Hold'em Poker. Over 300 slot games should prove enough to suit all types of online gamers, with new titles being added each month. Play classic 1-line, 3-line and 5-line reel slots, try and win some cash while playing fruit slots and MegaSpin games, and make sure you also save some time for the latest video slots which are brimming with special perks and benefits. Blackjack lovers will be delighted to hear they can choose from staggering 26 games at Royal Vegas, each of these coming with slightly different rules and payouts. Some of the more interesting variants include Vegas Strip, Big Five Blackjack Gold, Multi-Hand Bonus, High Streak European and Atlantic City Gold. While Roulette games rarely differ a great deal from one another, the five variants available at Royal Vegas Casino are likely to prove more than enough. Premier Roulette, European Roulette, European Roulette Gold, American Roulette and French Roulette are the supported games, so simply choose your favourite title and start playing. Video Poker games tend to remind players of brick and mortar casinos, but this particular online gaming venue is likely to prove the next best thing. While player favourites Jacks or Better and Deuces Wild are supported, they can enjoy some more elaborate titles as well, such as Bonus Poker Deluxe, Aces & Faces and Louisiana Double. A three-level welcome bonus is in place for all new customers designed to award them with up to $1,200 in free cash. Receive a 100% first deposit bonus up to $250, 25% second deposit bonus up to $200 and 50% third deposit bonus up to $750. On top of that, players can take advantage of weekly and monthly promotions as well as Rewards and VIP programmes. Royal Vegas customers can use more than 40 international and local payment methods for deposits and withdrawals, with some 12 currencies supported. A 10% bonus is added to each deposit made using one of the alternative methods. The customer care team is at your disposal 24/7 and the best thing here is they speak 11 different languages. Contact them using one of 14 toll-free numbers depending on your location or use live chat, email, WhatsApp, Skype, BBM or iMessage. As far as security is concerned, digital encryption technology ensures your personal details and money are always safe. Catering for players from around the world since 2000 and operating within the famous Fortune Lounge Group, Royal Vegas Casino has earned quite a reputation in the highly competitive industry. Housing an amazing selection of over 500 exciting games, while featuring stunning bonuses and promotions as well as live tournaments and progressive jackpots, this particular casino room easily wins our seal of approval. Is your customer support available in other languages or just English? Our multilingual customer support team speaks English as well as Dutch, Finnish, French, German, Greek, Italian, Japanese, Portuguese, Spanish and Swedish. Is it possible to reverse a withdrawal? Yes. The money you choose to withdraw remains in the casino account for 24 hours and you can cancel a withdrawal during this time quite easily. Simply click the 'Bank' button and select 'Reverse Withdrawal', and the money will be immediately returned to your account. I own a Blackberry phone. Can I play the casino gamers on my device? Yes. 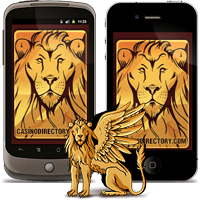 Royal Vegas mobile casino is compatible with Android, iOS, Blackberry, Java and Symbian devices. Simply enter www.royalvegascasino.com in your phone or tablet browser and download one or more games you wish to play on the move. Are there any progressive jackpot games on offer at Royal Vegas? Yes. We currently house a total of 16 progressive jackpot games, with combined jackpot amounts exceeding $5,000,000. These include Mega Moolah, Major Millions, Treasure Nile and King Cashalot, among others.